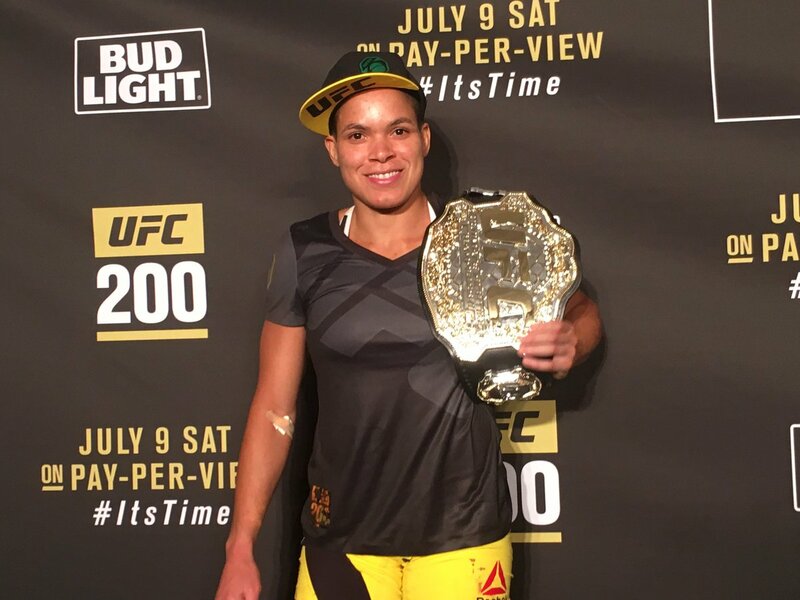 On Friday night, at Las Vegas the roles were reversed as Amanda Nunes overwhelmed Rousey from the opening bell at UFC 207,she's beaten by Amanda Nunes after just 48 seconds during brutal loss. Unfortunately for the 29-year-old,long-awaited UFC comeback didn't even last a minute. 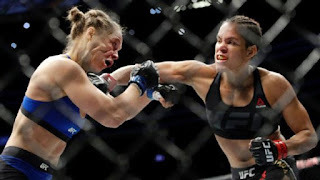 It was likely a sad end to an amazing career after more than a year away from fighting, she peppering her with right hand after right hand before referee Herb Dean stepped in and stopped the one-sided affair 48 seconds in. The biggest star in the women's game is likely considering retirement shortly before her 30th birthday , suffers brutal loss at the hands of bantamweight champion Amanda Nunes . Rousey, who made a guaranteed $3million for her comeback bout while her opponent's guaranteed payday was just $200,000, never managed to get her footing against Nunes - who rocked Rousey with her very first punches. No Comment to " Ronda Rousey lost inside a minute on her return to UFC as Amanda Nunes took a stunning victory "